In 2010 the ECHO Asia Impact C enter, along with lead partner, Pennsylvania State University, and Maejo University, was awarded a CRSP Horticulture Exploratory Project grant with major support from USAID. Entitled, "Strengthening Indigenous Informal Seed Saving Systems in Southeast Asia," the project enabled the three institutions to carry out a year-long exploratory study of household seed saving practices and related challenges in hilltribe communities along the Thai-Myanmar border as well as Khmer farming communities in southwest Cambodia. The project included an inventory of horticultural crop varieties being grown by households and small farms in the study areas. Seed sources, whether from local seed saving efforts or commercial, were identified as were household seed saving challenges. The grant also enabled the partners to gain greater understanding of regional vegetable crop germplasm as well as access to regional crop varieties of interest for the ECHO Asia Seed Bank to evaluate, produce and distribute. One other benefit was the opportunity to host seed swap events in Thai and Cambodian communities where the surveys were implemented. 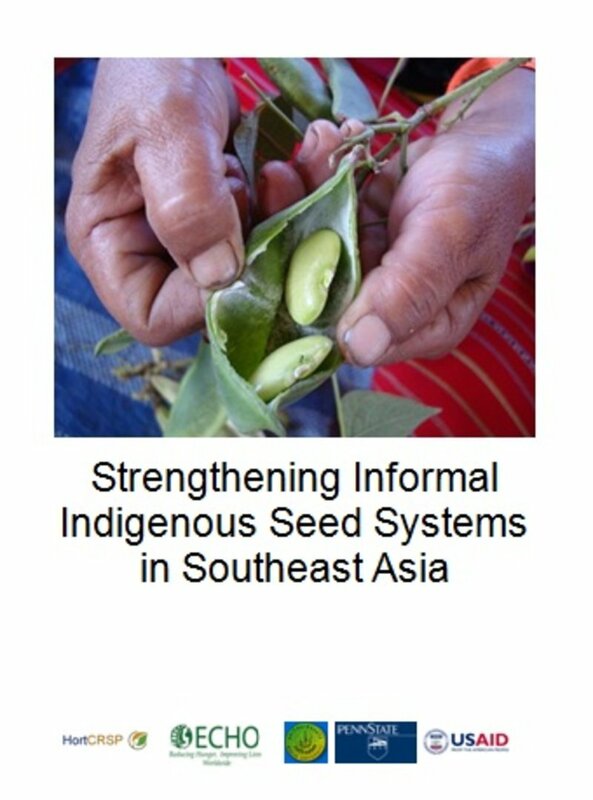 Click on this link to download a PDF copy of the 31-page Strengthening Indigenous Informal Seed Saving Systems in Southeast Asia report. The illustrated document includes findings related to the status of seed saving in the surveyed communities as well as seed accession collection and seed viability testing. Also included are two tables containing information related to 80 perennial and annual vegetable crop species that were surveyed, many of which are considered underutilized.